I’m a big fan of integrated non-intrusive, productivity-enhanching applications. One category which is especially useful for me is the automatic publishing of screenshots, making conversations about looks and state so much easier. Mr Bulgur: The label of the “More” button looks totally skewed. Jean-Claude Which button?! You mean the home one? Looks good for me on Windows. Jean-Claude Ah! Yes, I’ll fix it in a blink of an eye. I once purchased a license for Grab Up but the team bailed on us when the software broke. Moved on to TinyGrab but it’s too slow and often not working. Since this functionality is rather trivial I looked around if someone had written an open source version, which I could simply adjust to my needs. None found. So I wrote one myself – Scrup. 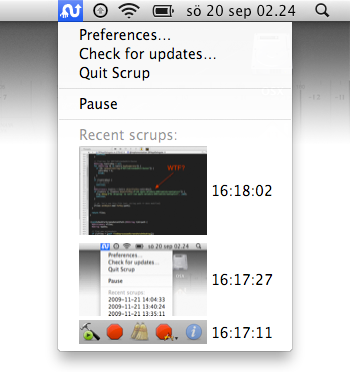 When you take a screenshot, Scrup sends it to a web server of your choice. The web server then do something with the image (saves it, doh!) and returns a URL to the new image. That URL is then placed in your pasteboard, ready to be pasted somewhere. Scrup also keeps a list of the most recent scrups in it’s menu, for easy access at a later date. 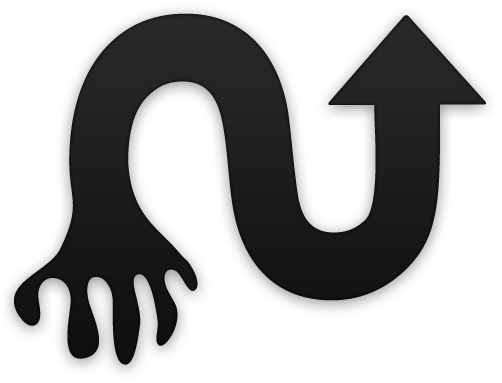 Visit Scrup on GitHub and read the Download & install section.